Under this monument are deposited the remains of Sir George Oxenden Bart. 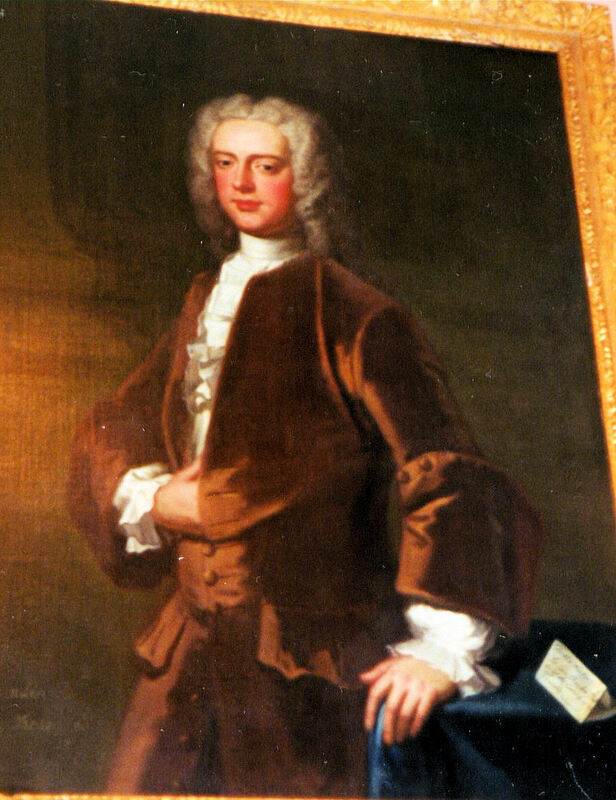 late of Deane, in this Parish, who upon the death of his brother Sir Henry Oxenden Bart was in the years 1720, chosen member for the Port of Sandwich and had the honour of representing the same in every successive parliament until the year 1753, when he voluntarily resigned his seat to the general reluctance of the consistence. In the years 1725, he was made one of the lord's commissioners of the Admiralty and in the year 1727 was advanced to the Board of Treasury. Both which honourable appointments he executed with diligence, integrity and judgment. That strength or understanding and quickness of parts which nature had so liberally bestowed upon him, were so improved by education, confirmed by habit and refined by taste, that he was qualified to shine in the most exhorted spheres of life. Whilst occupied in Parliament, terry and political scenes, he properly displayed the talents which are best suited to them. And after having retired from public business, he was studious to cultivate the amiable duties of a private life as a gentlemen. He had all the accomplishments requisite to his station as a magistrate. The whole country profited by his prudence, abilities and activity. Thus was he formed in every view; To captivate attention and to secure esteem, cheerful without liberty, generous without profuseness, learn it but not pedantic, and though ever ready to communicate his knowledge by no means ambitious of displaying it, in his manners cautious and engaging, in his conversation, brilliant and instructive, in his judgment accurate and candid and in every quality requisite to adorn, the senatorial, the social or domestic character that were but few equal and none superior. He married Elizabeth, daughter and co-heiress of Edmond Dunch Esquire, of little Whittenham, Berkshire, Master of the household to Queen Ann and King George I. By Elizabeth Godfrey his wife, niece to John Duke of Marlborough. Sir Henry Oxenden, the eldest and only survivor of five children his three sons and two daughters through a dutiful and filial regard to his deceased parent caused this memorial to be inscribed, that future generations may know his merit and respect his memory. L Sherwood, who is writing a history of Devonshire Cottage Richmond, Surrey, advises that Sir George lived in that property during 1735 and 1736.